The Touren is a fully featured outer layer that has great usefulness for mountain sports. The Mountain Hardwear Touren is a heavier weight softshell jacket that has an extended, hip-length cut, roomy torso for layering underneath, and long sleeves. Those with shorter arms or bodies may find the Touren too spacious, but most will experience exceptional mobility, the ability to put base layers on smoothly, and that the large hood and extended waist provide significant protection in harsh weather conditions. Take it hiking in the snow or ski touring in the middle of winter, not rock climbing or mountain biking mid-summer. The heavy material used does not breathe as well as lighter jackets, like our Top Pick for Climbing Rab Torque. The Touren represents the heavier side of the softshell world. This hooded model is a workhorse that gives excellent protection when severe weather is on the horizon. It also includes well thought out features that make it useful when climbing or skiing. It is not the most versatile contender we tested, but its performance in winter conditions make it a solid choice. This heavier weight softshell is better suited for colder climbs where the additional wind protection is useful. The Touren delivered great cold weather protection and adequate wet weather protection through its Polartec Power Shield fabric, which provides a durable layer between you and the elements. Capable of withstanding heavy winds, snow, and drizzle, the Touren is a winter weather softshell. During the shower test, the Arcteryx Gamma MX showed much better performance in resisting wetting out while the Touren began leaking after 20 seconds. The hood can accommodate ski helmets with ease, and its long hem (that easily slips under a harness) keeps drafty winds and snow from getting in. While it resisted wetting out for the first 20 seconds, the Touren quickly soaked through in the head and shoulders during a shower test. Thanks to its Polartec Power Shield unlined shell fabric, the Touren is surprisingly breathable for its weight. We hiked up a steep trail at a brisk pace wearing a light fleece underneath, en route to an alpine climbing objective and were pleasantly surprised at how dry the inner material of the Touren was. To be sure, it is not nearly as breathable as lighter weight models like the Arcteryx Psiphon FL or Outdoor Research Ferrosi Hoody, although those jackets are not really fair to compare. Compared with the equally-heavy Gamma MX, however, the Touren is much more breathable for its weight. While hiking slowly on the glacier, the Touren was able to keep up and breathed well. The Touren jacket is cut generously, making it easy to fit layers underneath. We had no problem fitting a fleece mid layer as well as an insulated vest under the Touren without feeling restricted. The arms are cut longer than any other jacket aside from the Psiphon FL, making it a good option for those who have a hard time getting an appropriate fit. During the stretch test, we did not notice any cuff drop while grabbing above our heads. While reaching up for climbing hold or searching for an ice tool placement, we noted a 2.75-inch rise in the hem, which with the longer than average cut, still kept the jacket securely tucked under the harness, unlike shorter cut coats like the Outdoor Ascendent Hoody. The patterned body and articulated arms make it easy to bend and move freely. With a verified weight of 1.3 lbs in the size medium jacket that we tested, the Touren is on the heavier end of average in this review. Of these heavier jackets, however, only a couple of these jackets are technical enough to consider taking into the mountains. While it is nearly twice the weight of the minimalist Arcteryx Psiphon FL, this jacket has a much more durable and heavy fabric that results in better performance in bad conditions. Mountain Hardwear put in the time to make the Touren jacket a quality piece of performance outerwear. It's apparent that they consulted alpine and ice climbers for input, making sure they didn't leave anything out that would enhance this jacket's performance in extreme environments. With a full-size hood that has 3-way adjustability and a stiff brim to keep snow out of the face when the wind is whipping, the Touren provides stiff competition to the Top Pick for Climbing, the Rab Torque. This helmet-compatible hood has a stiffened brim that gives the hood more structure and weather protection. Two handwarmer pockets and a single chest pocket give lots of storage options outside. Inside, a zippered pocket and twin drop-in pockets provide a place to stash extra gloves or a hot water bottle for those cold days at the ice climbing venue. This is also the only jacket to utilize a 2-way zipper, a nice feature when using a climbing harness, although we tend to find these more often on puffy jackets used as belay jackets, tucking in our softshell jackets under a harness when cold-weather climbing. The Touren is the only jacket in our review to feature a two-way zipper for belay loop access. The Touren jacket qualifies as an alpine climbing garment and does not go out of its way to hide the fact. With an oversized hood, offset zipper colors, and duo-color fabric design, it looks much better in the mountains than in casual or urban settings. While it is a larger cut, it does not appear overly baggy in the torso when worn over a light base layer, though the more form fitted Arcteryx Gamma MX offered a trimmer look. The extra space was appreciated when we layered a light insulated jacket underneath on cold days. The Touren is clean cut and good looking, though with its two-tone color design definitely gives off a mountain-apparel vibe. Cold weather, gusty north winds, and 70% chance of snow showers after 11; looks like a weather forecast that ice climbers, mountaineers, and skiers might see all too often. The Touren keeps the weather at bay and ensures you stay warm and dry in harsh conditions. Despite a heavier weight and a baggier style than other jackets, this is one that we recommend to those pushing the limits, no matter what the sky is throwing at you. The Touren retails for $350, making it tied for the most expensive jacket in this review. There are certainly valuable features included in this jacket, so we feel that it is a reasonable, but not great value. The Touren jacket is billed as a year-round softshell for all conditions. We feel that it certainly can be a 4 season jacket if you live in a cooler climate such as the Pacific Northwest, where summertime conditions may be very winter-like. For more stable summertime climates, this jacket may be overkill in all but the winter and spring months when its extra protection will come in handy. Backcountry $209.98 - 40% off! MooseJaw $226.99 - 35% off! 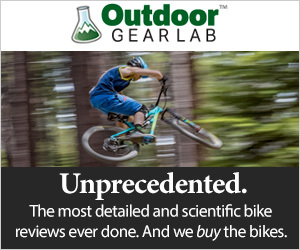 REI $244.73 - 30% off! Amazon $259.98 - 26% off!